Corinthian columns, classical architecture & an arch inspired by the Arch of Constantine... this setting was a beautiful complement to my new Lady V London dress. 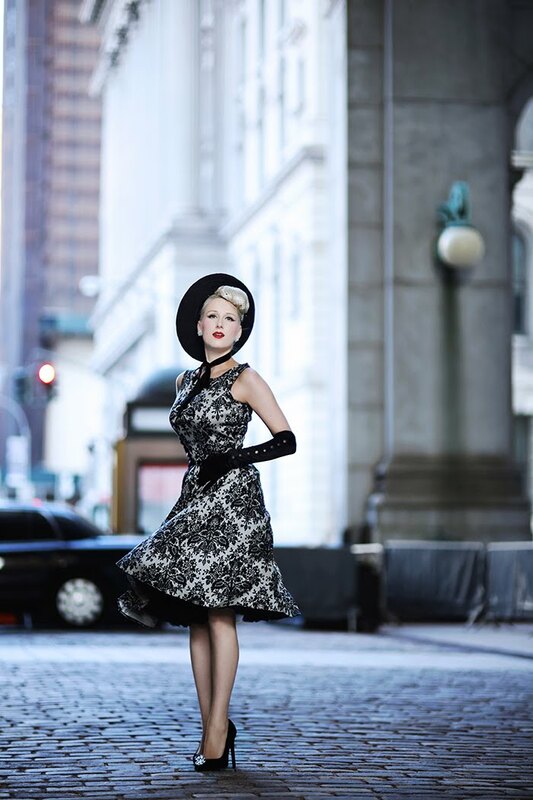 Hepburn 'Debonair Damask' features an elegant high neckline and 50's inspired flared skirt. While displaying a glamorous print for fancy affairs, she's made of a comfortable cotton, so could easily be worn for daytime looks as well. This time though, I'm feeling regal in velvet & crystal accents.